Tickets go on sale tomorrow at 3:30pm, and seating for this performance is general admission. This preview comes in advance of our three public performances of Dr. Seuss’ “The Cat in the Hat”, which kick off this Saturday afternoon. From the moment his tall, red-and-white striped hat appears around the door, Sally and her brother know that The Cat in the Hat is the funniest, most mischievous cat they have ever met. With the trickiest of tricks and craziest of ideas, he is certainly fun to play with, and he turns a rainy afternoon into an amazing adventure … but what will mother find when she gets home? Clocking in at just under an hour and filled to the brim with sound effects, props and silly antics, “The Cat in the Hat” offers the perfect introduction to theatre and is appropriate for children of all ages. 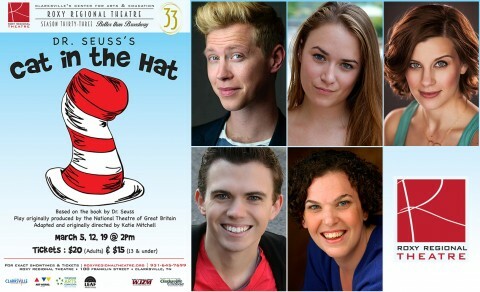 Michael C. Brown stars as The Cat in the Hat, while Emily Rourke and Lacey Connell play Sally and her brother. Ryan Bowie and Jackie Ostick round out the cast as a whole host of characters — including the Cat’s blue-haired cohorts Thing 1 and Thing 2. Directed by Tom Thayer, “The Cat in the Hat” was adapted by Katie Mitchell and originally produced by the National Theatre of Great Britain. Not a word has been touched or added to Dr. Seuss’s classic, ensuring those who have read the story will find themselves transported into the world they have always imagined. Tickets to our Saturday matinees are $20.00 (adults) and $15.00 (ages 13 and under) and may be purchased online via the below button, by phone at 931.645.7699, or at the theatre during regular box office hours (9:00am to 2:00pm, Monday through Friday, and one hour prior to curtain). “The Cat in the Hat” is made possible in part through the generous support of Jimmy & Lena Orgain. 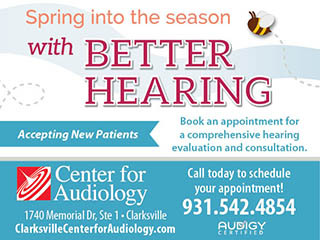 Additional funding support has been provided by Larry & Barbara Goolsby.